Former India wicketkeeper-batsman Farokh Engineer has urged Pakistan's captain-turned-Prime Minister Imran Khan to use his political clout and restore bilateral Test cricket between the arch-rivals. Since the 2008 Mumbai terror attacks, bilateral cricket ties between India and Pakistan have been frozen amid political tensions and they only play each other in multi-nation events such as the World Cup. 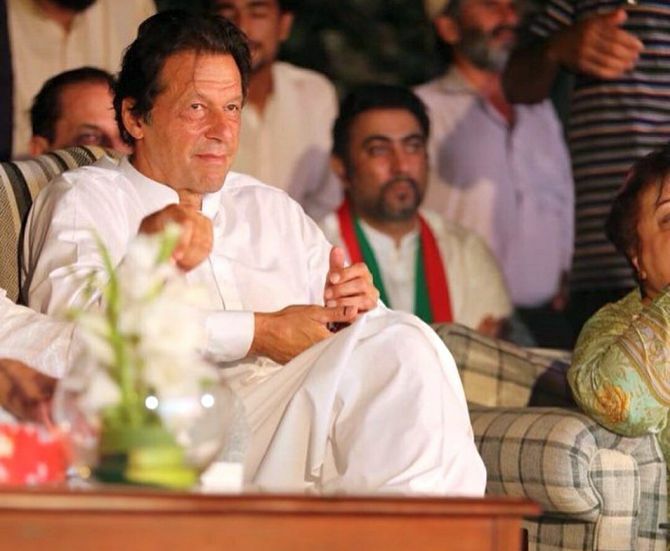 "Imran Khan, he is the prime minister now. Hopefully India and Pakistan will start a dialogue," Engineer, a flamboyant player of the 1960s and 70s said during the inaugural Ranji Memorial Public Conversation in London this week. "They should be playing Test cricket against each other because it will do Pakistan cricket, their economy, a world of good. But you hear about border skirmishes and this and that. They've got to have dialogue." Khan, one of the outstanding all-rounders of his generation, became Prime Minister earlier this year and Engineer believes he now has the authority to break the impasse. Engineer said, "As a cricketer, I would love India to play Pakistan or vice versa. But it is a question of convincing the political leaders." "Basically we are the same people. Both countries have extremely talented cricketers and I, for one, would love to see that happen but unfortunately the brakes are on," Engineer lamented. Most major cricket nations have refused to tour Pakistan on security grounds since the 2009 terrorist attack on the Sri Lankan team bus near the Gaddafi Stadium in Lahore, forcing the country to play its 'home' matches in the United Arab Emirates. Former Pakistan batsman Mushtaq Mohammad, who was on the same panel, said, "We'd love India to come to Pakistan, that would be a real boost. We'd love England to come, Australia. We play our 'home' series away from home, which is a very sad episode."